How Old Do You Have to be to Work at Tillys? If you are active, social and casual fashion is your thing, then Tillys careers might be a good fit for you. Read on to learn how to get hired at one of the coolest, fastest-growing retailers in the world. The appeal of Tillys is obvious: the specialty retailer features apparel, footwear and accessories suited for everything from exploring national parks to lounging at music festivals. But that effortless cool extends to company core values: they specialize in both looking good and doing good. The following guide will share just a few current vacancies, walk you through the application process, and give you a little more insight about the company to help you get your foot in the door and become a part of the Tillys family. Whether it’s Customer Service Representative, Assistant Manager, Demandware Commerce Developer, or even Carpenter, Tillys is chock-full of opportunities. Tillys was rated one of the best places to interview in 2017. Keep reading to find out how to get in on the action and land a sweet job there. Most Tillys applicants find their opportunities online. An extensive list of corporate and retail jobs is available on the Tillys careers page, where an online form makes applying for a job easy. As the face of the company, Sales Associates are the people who make the customer service magic happen. This is an entry-level job where you engage directly with customers, assisting them to find exactly what they are looking for and making sure they leave feeling like they got the royal treatment. This position is where a naturally creative spirit gets to unleash their flair for current fashion trends and styles. Daily duties include changing fixtures, rearranging furniture, dressing mannequins, and setting up display windows. This job requires 2 years of merchandising experience. If you are a person who flips through fashion magazines for fun, enjoys wardrobe styling and always is ready with perfect centerpieces and place settings every holiday season, this is the job for you. Sales Leads are on the sales floor making sure customers get the experience they deserve, but are also responsible for helping Sales Associates get the training and coaching they need to succeed. This is a job for a real people person, because it is the link between management, sales, and customers. If you love fashion, interacting with and helping people, but also want a little more responsibility, then this is a wonderful fit for you. Contrary to the title of this job, a Loss Prevention Manager at Tillys wears a lot of hats. This role includes overseeing incoming shipments, monthly safety checks, parking enforcement, and so much more. If it involves safety, security, or investigation, the Loss Prevention Officer is on it. If you are a skilled communicator who likes enforcing the rules (in a good, friendly way) and keeping things on-track, then this is a great position for you. Applicants are expected to have 2 years of security or other relevant experience. Management jobs at Tillys abound, and usually begin with Assistant Store Manager. Assistant Store Managers work to make sure their store is on-target with sales goals and day-to-day operations. This is a fun position that is unusual in that you get to dress casually while learning fundamental management skills. This role is the bridge between the Management Team and the Sales Team. Think of it as the meat in the Store Manager/Sales Team sandwich. Assistant Managers are often promoted to Co-Managers, who are responsible for assisting Store Managers in selling, hiring, and training. Store Managers are expected to be fully responsible for keeping the store running like a well-oiled machine; slaying company goals and objectives every day. That means recruiting, hiring, and training their team to achieve victory in sales objectives, and making sure every customer leaves with a smile on their face. A natural leader who knows how to motivate and rally a team would thrive in this position. Some of the more unusual, corporate-level management jobs are Digital Marketing Manager and Fashion Trends Manager. The Digital Marketing Manager is basically the driving force behind all of Tillys social media and viral marketing initiatives, this applicant will need to have a deep understanding of the Tillys brand and lifestyle, and 5 years experience with digital marketing. A Fashion Trends Manager pounds the fashion pavement for current trends by researching market statistics, influencer blogs, youth culture and brands. This role includes collaboration with the Buying team, coordinating items for photo shoots, working with Visual teams and coordinating the annual fashion show. This is fun, hard work, and requires 5 years of applicable experience. During the Christmas season (October-January), Tillys hires Seasonal Sales Associates to help with the busiest time of the year in retail. This is a great temporary opportunity that you may be able to leverage into a permanent job with the company. How Much Does Tillys Pay (Hourly and Salary)? Tillys offers comparable pay with most retail jobs, and discounts on merchandise ranging from 20 to 40%. Part-time employees shouldn’t expect to receive any benefits packages, but full-timers and salaried staff get health, dental, and vision benefits as well as a 401K, vacation and sick days, and management positions come with seasonal bonuses. Generally, the minimum age to work at Tillys is 16 for all retail sales positions. Many entry-level positions are filled by high-schoolers, because of the flexible part-time hours available. Management jobs will require applicants to be 18, but are often hired from within from lower-level employees looking to advance. 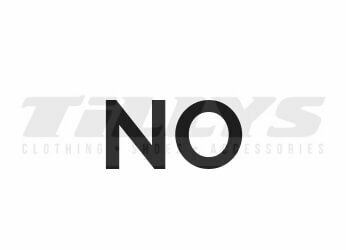 Tillys asks employees if they would be willing to submit to a drug test, but drug tests are not a typical part of the hiring process. In the event of an on-the-job accident, it is likely that they would administer a drug test. Incidentally, while they conduct background checks for Tillys employees, a misdemeanor conviction will not automatically prevent them from hiring you. Why do you want to work at Tillys? Huge tip: do not tell the interviewer that you need the money. Bring up the style and brands and how you relate to them. Explain that the opportunity for you to learn about the retail and customer service experience is something that you want. You will earn huge bonus points for looking into the core values of the company and talking about how they resonate with you. What is your favorite rising trend? Make sure you are up-to-date on all of the latest trends in fashion, and answer honestly. If you don’t like a trend, make sure you only mention it as a contrast to a trend that you do like. You should be upbeat, honest, and prepared with a good answer for this question. The more familiar you are with current fashion trends, the easier this question will be to answer. Read up on trends through influencer blogs, online ad campaigns, and other relevant sources. Bear in mind that Tillys is an active, social brand. You should come across as fun, friendly, and let your personality shine through. If you are interviewing for a sales or management position in retail store, your main job will be to engage with customers. They want to know about how outgoing you are. Don’t hesitate to use some examples of great customer service you have witnessed or provided. They want to know that you understand how to go above and beyond to make each customer feel as if they are the only person in the room. Whether you are applying for a managerial position or an entry-level sales position at Tillys, you are going to want to make sure you are wearing an eye-catching, trendy style. Make sure you have covered the small details in your accessories. Your style should match the brand, so make sure to pay attention to current ad campaigns for inspiration. Remember, this company is all about selling trendy clothes, so your first impression needs to be that you look the part. Francesca is a trained landscape architect and writer who splits her time between Texas and rural France. She can usually be found behind a laptop or using power tools.